I have yet to hear about an organization that does not claim to value creativity. Still, in most organizations the implementation of methods that promote creativity remains as scarce as desert rain. This conundrum had occurred to me before, but (and shame on me) it remained parked it in the back of my mind with my other unanswered questions. It had taken a seemingly innocent remark from my friend to push it into my active thoughts. And activating my thoughts it did! In the days that followed I came up with a variety of formulations, but none were satisfactory. It seems that both flexibility and open mind on the one hand, and their direct opposites, stubbornness and ruthless commitment on the other, are needed to pursue, create and walk the golden path to innovation. All the stories about the great inventions, innovations and art that made an impact on society are full of the myths praising both the single mindedness of their creators, as well as their curiosity and ability to observe and learn. The singlemindedness and curiosity of innovators are so well documented that their importance is taken for granted. Thinking about it again, my friend’s question should morph into a different one. Rather than asking which of the two sides of the dichotomy is needed for the creative process, the question should become: are there rules governing singlemindedness and open-mindedness if one intends to maximize one’s chances of creating something of value? And if these rules exist, what are they? In other words, could innovation be the fruit of a random pattern of open-mindedness and stubbornness? This is unlikely. If randomness were the rule, there would be no particularly innovative people. Innovations would pop-up in the mind of random people and we wouldn’t not have had Picassos, Steve Jobses, Thomas Edisons or other consistently great innovators who have illuminated our world with their genius. Simply put, some people are innovation machines and some are not; and it is the way people employ the two sides of our stubbornness versus open-mindedness dichotomy that influences their creative and innovation proficiency. The difficulty in finding the governing rule lies in the fact that the exact same action can be interpreted completely differently depending on the context and one’s point of view. In one of the courses I facilitate I use a picture of someone’s tattoo. The tattoo depicts a person standing straight in front of an army tank with a caption that reads: “I will stand my ground!” – The picture is used for a discussion about stubbornness. Soon enough consensus builds, and general agreement is reached that the tattoo, what it represents and its wearer, all spew hateful vibes that should be condemned. How can someone be so proud of their stubbornness that they will go as far as wearing a tattoo that lets everybody know they are as stubborn as a mule. And then one day, one of the participants explained this tattoo to me. It represented the infamous Tiananmen Square protests of 1989, when a student, the man in the image, stood immovable in front of the approaching Chinese tanks and singlehandedly, without any weapon of any sort except his willingness to die for what he believed in, was able to stop the advance of a savage repression. The picture became a symbol of the protest which is credited with having changed the historical path of China, opening it to changes that were unimaginable until that moment. One’s opinion about the tattoo and its wearer can change 180 degrees. What was a symbol of ugly pigheadedness and frozen beliefs became a song of freedom and a symbol of change. The same picture, the same action depicting focused singlemindedness, can be viewed as either extremely bad or extremely good. What causes the difference? When should one be stubborn and when should one be flexible? One may surmise that gut-feel, or instinct, should be the guiding principle; that in some mysterious way our subconscious mind knows best, and will magically tell us correctly when to doggedly stand our ground. “Follow your heart” is one of the most common tips given by those who have ‘made it’ when they advise the aspiring artist, or even the budding scientist. Could it be that simple? Follow your heart? Really? Is this the recipe for the innovations that will change the world? A person’s subconscious mind synthesizes all their knowledge and experiences, and delivers solutions that may surprise. However, this process comes without guarantee. More often than not gut-feel turns out to be a false alarm, instinct will be counter-productive and first impressions will be turned upside down as more information is gathered. Any one of us could recount countless tales of friends who have trusted their instincts and plunged headlong into a new venture, or who have given up everything to follow their dream, only to be met with disappointment and utter failure. Let’s look at entrepreneurs. The successful ones have created an innovative formula that led to their success. Statistics agree that about 50% of new businesses fail within the first four years. Entrepreneurs increase their chances of success by a substantial amount on their second try, and increase it again on their third try. This looks more and more like a numbers game. Actually Jack Ma, the founder of the online commerce giant Alibaba, has several video clips that went viral. Most of these clips revolve around a single theme: his own life experience and the fact that his failures were his biggest teacher. Thomas Edison, often described as the world’s greatest inventor, is known to have said, and I paraphrase here, that the hundreds of times that his experiments failed had taught him about the hundreds of ways his invention would not work. And just the other day, at the 2019 academy awards ceremony, Lady Gaga held her Oscar high and with tears in her eyes shouted her advice to the younger generation: “Follow your dream and never give up” she said to the rousing applause of the audience. ‘Never give up’, meaning you will fail, but try, and then try again and again. So it’s not only a numbers game, it’s a numbers game of failures. In conclusion I would like to recapitulate and synthesize my thoughts. To innovate and succeed requires you to do what you like and be stubborn about it. Follow your heart and stand up to anyone or anything that may deflect you from your goal. And fail. You must fail. You must fail many times, for failure is ‘the great’ teacher. And by being unapologetically stubborn and by learning from your mistakes, you will eventually come up with this rare pearl: An innovation that will help you, your company, and the community at large. Now, the trick is to convince your boss. Good luck with that! Now I understand why most companies claim that they support and value innovation but do nothing about it. Supporting innovation takes guts, and a counterintuitive leap of faith in the value of experimentation and multiple failures. Few are the companies with a culture open enough to accept the risk, but those that do, become a Google (Alphabet Inc.), an Apple Inc. or a 3M Co.
Mr. Fadi Chahrouri is a partner with Meirc Training & Consulting. He holds a bachelor of science degree in business administration from the University of Tennessee in Knoxville, USA and a master of international business from the University of Wollongong, Australia, Dubai campus. 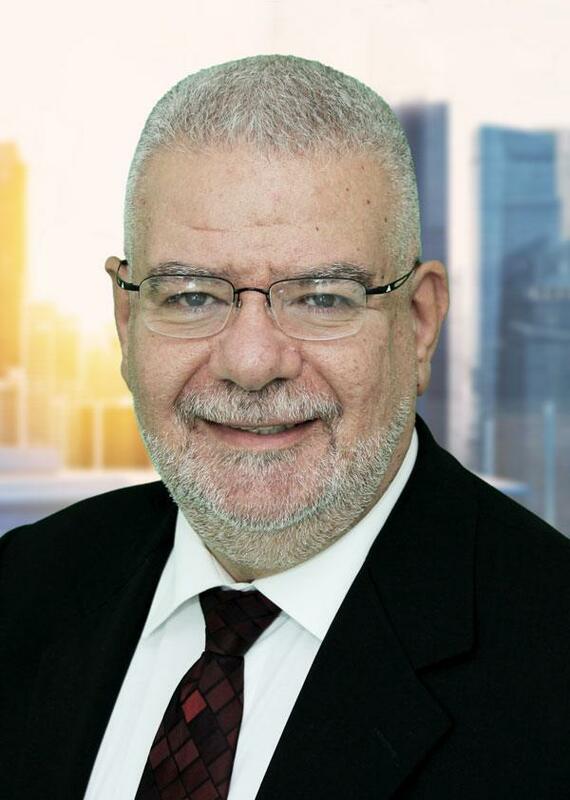 In addition, Fadi is a Mind Mapping licensed instructor, ThinkBuzan accredited, and a certified training practitioner (CTP™) from the Institute of Performance and Learning, Canada.